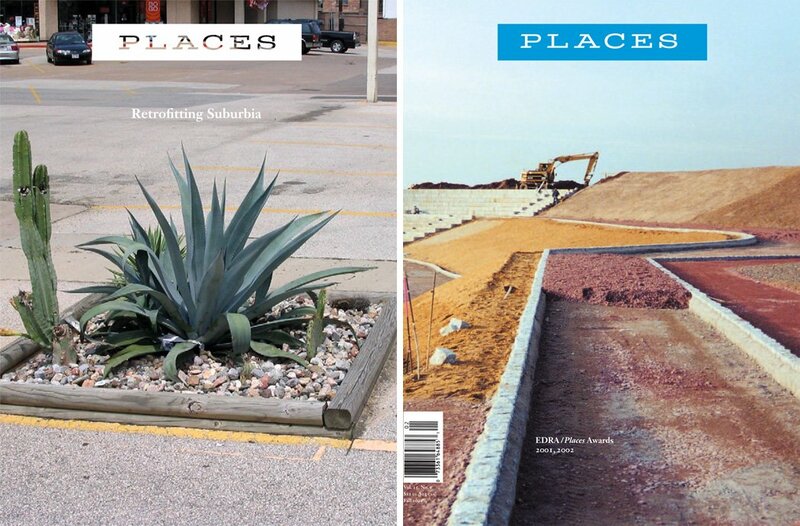 The fundamental dilemma of architecture criticism is the rise of the global beat — dateline: placeless. By now the rules are so familiar they seem almost inevitable. We’ve come more or less to accept that architecture criticism is a form of art critique; that as such its proper focus is the important output of major architect-artists; and that because the major architect-artists work on an international scale, the scope of criticism is necessarily global. Clearly this isn’t the only critical modus operandi, but it’s the main one, exemplified for decades by the powerful and pace-setting Times, and emulated by any organization with aspirations and a travel budget. Persistent problems, to be sure; but I’d like to spotlight an issue that’s gotten less attention and which seems to me to underlie the contemporary critical dilemma. This is the rise of the global critic, the critic with the world beat, beaming copy from Beijing, Dubai, Rome, Basel, or wherever the newest icon or latest star is being born. In a sense this might seem a natural progression in the portfolio of the critic — a nimble adaptation to a discipline that’s gone planetary. Yet the accelerating globalization of architecture culture has created for architecture criticism an unintentional conundrum, which is that it’s practically impossible to produce good criticism on a global scale. But what is good criticism? H.L. Mencken called criticism “prejudice made plausible,” and no doubt it’s a tough genre to tackle, requiring the delicate calibration of professional principles and personal loyalties. But it seems fair to describe good criticism as criticism that strives not only for an immediate, personalized response but also for a richly informed and insightful understanding of the state of the discipline and how it both reflects and shapes the larger culture. It’s criticism rooted in deep experience, comprehensive knowledge and (yes) love. How can you make others care if you don’t care? You can see the challenge. How can a critic attain deep experience and comprehensive knowledge of a global field whose perceptual boundaries are ever expanding as the world grows more interconnected and as media channels proliferate like mad and propagate an infinitude of information — and yet whose significant works are ultimately three-dimensional, place-bound artifacts created to satisfy specific conditions and which require actual personal presence to know and understand? Left: Lewis Mumford. Right: Skillman Avenue in Queens, renamed in his honor. Here it’s telling to compare the architecture critic with his or her counterparts in the arts criticism zone — let’s say with movie and book critics. Film and literature have powerful critical traditions. Partly this is because they’ve attracted talented and passionate writers (in film think James Agee in the ’40s, Pauline Kael and Andrew Sarris in the ’60s and ’70s, and now David Denby, Anthony Lane and David Thomson; in literature there’s an even deeper bench, from Edmund Wilson and George Orwell to Gore Vidal and Elizabeth Hardwick to Louis Menand and James Wood … to barely skirt the edge of the edge). But just as important to the strength of these critical cultures is the fact that the artworks themselves are cheap and easy to access. Consider the book critic evaluating the latest novel by Jonathan Lethem, or the film critic judging the new Roman Polanski. The ambitious reviewer will read Chronic City but won’t stop there. She’ll continue on with The Fortress of Solitude, Motherless Brooklyn, et al., all obtainable at a nearby bookstore or via next-day delivery from Amazon (and the OCD critic will clock some time on the author’s website just for the miscellaneous uncollected writings). The conscientious film critic will attend the press screening of The Ghost Writer and then commit to a Netflix-enabled home-viewing marathon of The Pianist, Chinatown, Rosemary’s Baby, et al., taking care not to neglect the early Polish works (all but one currently available). You can see the point. Cheap and easy access to a virtually limitless catalogue of artworks is no guarantee of great arts criticism — but it makes possible the sustained engagement and encyclopedic learning that inspire it. (I am convinced that the incomparable David Thomson has seen every movie ever made.) How can architecture criticism compete? How can the individual critic amass the disciplinary equivalent? To write with in-the-bones insight about the output of any one of our era’s peripatetic architectural stars, let alone the collective production of the whole constellation, would take endless international travel and an unlimited expense account — and those are just the logistics. To claim with conviction that this artwork or that artist is at the top of the game is only convincing if you’ve paid keen attention to the rest of the field. I think this helps explain why Nicolai Ouroussoff’s criticism is so unsatisfying. It’s the unexpected trap of inhabiting the tower of the Times. You’ve got the editorial charge to be national and international, like the rest of the paper, and you’ve got the budget to roam. So you rack up the datelines: Los Angeles, Miami, Boston, Moscow, Stuttgart, Basel, etc. etc. But the view from the tower is broad not sharp, panoramic but not particular. The inevitable result is that you are writing at the thin edge of scant knowledge: you are critiquing places you know only as a tourist, and buildings you know only from brief and usually tightly programmed visits, often in the company of the watchful designer. This is no way to gain meaningful experience or serious knowledge of a building or landscape or how it fits within its local setting and larger environs. Left: Jane Jacobs. Right: Hudson Street in Greenwich Village, renamed in her honor. This is dead-on. Lange suggests that Ouroussoff was perhaps “the perfect critic for the boom years, when looks were the selling point,” but that his “formal, global approach seems incongruous in a downturn.” I’d take it further and argue that it doesn’t matter when or who — it’s the wrong set-up. The fundamental problem of contemporary criticism is precisely this global beat — dateline: placeless. For the frequent-flying critic it’s a heady gig — a movable feast of bold-face names, privileged access, private mobile numbers. Yet what results from all this effort and expense — the hundreds of thousands of air miles, the guided tours of pristine new projects — is a kind of attention-deficit critique. It’s criticism focused on the singular object because that’s all that the on-the-go critic, with a return ticket on the red-eye, has time to see. It’s criticism directed more to the remarkable moment than the larger narrative or complex whole, and almost always it feels paradoxically slight, impressionistic and formulaic. Lange’s essay and the animated comments that followed (61 and counting, as I post this) suggest that we’re near the end of our collective patience with this kind of global-beat, star-centric critique. And that it’s time to rethink the job of the critic, to revise our assumptions and expectations. So here’s a start: even as we value global access and high-speed broadband, let’s consider that the liveliest and most influential architecture criticism has been largely local. Think about the legendary mid-century critics like Lewis Mumford and Jane Jacobs, and still active voices like Ada Louise Huxtable and Michael Sorkin. It’s no accident that they all made their marks, found their critical voices, as passionate observers of the New York scene. Mumford started writing the “Skyline” column for The New Yorker in 1931 (with a piece on Radio City Music Hall) and didn’t file his last article until 1963, along the way endlessly exploring the city, all five boroughs too, tracking not just the big obvious projects like Rockefeller Center and the ’39 World’s Fair but also public housing in Queens and laundry buildings in the Bronx. And his reviews — astonishing to think about today — were unillustrated; which he didn’t mind, figuring that readers would be that much more motivated to seek out the works for themselves. 3 Huxtable, who was the Times‘ first architecture critic — and the first full-time critic in the country — also operates across the different scales of the city. She doesn’t ignore the big architects but she’s a connoisseur of neighborhood character, and she’s been fierce in exposing the backroom deal-making that she argues has coarsened the richly textured city of her youth; not for nothing was her first collection titled Will They Ever Finish Bruckner Boulevard? Jane Jacobs’s Death and Life of American Cities grew out of her decade as an architecture journalist and as a rabble-rousing resident of Greenwich Village, fighting to preserve what she saw as the virtues of density and history from the big-scale impulses of the urban renewalists. And Michael Sorkin continued this citizen-activist tradition from his perch at the Village Voice in the ’80s, where he tenaciously attacked — when “Disneyfication” was a new word — the accelerating corporatization of urban space. And while we’re rethinking the global beat we might also look hard at the art-critical model, and get serious about incorporating into architecture writing a range of criteria, from environmental to technological, economic to political. Critics might then develop specialties, zones of real expertise, which suggests that “local” needn’t be defined just as a specific place. It could also be a particular topic or slant — certain building types, say, or the politics of urban development, or the relationship of architecture to infrastructure, or the connections between design and science and between urbanism and energy, to name just a few promising interdisciplinary paths. It’s exciting to think about new and expanded models for architecture criticism. But of course the immediate test of survivability — of whether the job is doomed — won’t be conceptual but economic. How will criticism, either existing models or new ones, fit within whatever editorial and business structures emerge from the messy confusion of these early days of the digital revolution? Too soon to tell. But I agree with Alexandra Lange. We’ve got to be making the best case for keeping the breed. Doing that might mean expanding the gene pool of critical possibilities. Several years ago, when I was writing the weblog Pixel Points for Arts Journal, I devoted a long post called Sidewalk Critics to the topic of architecture criticism. In this essay I draw heavily from that earlier piece, since the issues seem as relevant as ever. See, for instance, On Criticism, published in November 2005 in The Architect’s Newspaper, for an overview of the mainstream critical scene; and the section Criticism in Architecture, in the February 2009 Journal of Architectural Education, for a more scholarly perspective. See Robert Wojtowicz, editor, Sidewalk Critic: Lewis Mumford’s Writings on New York (New York: Princeton Architectural Press, 1998), 19. America’s greatest boomtown went bust. An examination of the troubled history of mining, militarization, tourism, and water politics in Las Vegas. How is the humble, sociable, often derelict, and now endangered corner store so vital to the culture of New Orleans? "the local is the only universal, upon that all art builds." - john dewey paraphrased, william carlos williams [paterson]. I share the desire, expressed by both Nancy Levinson and Alexandra Lange, for criticism that scrutinizes the relationship between project and place. But I wonder how many writers in the U.S. actually fit the term "frequent-flying critic." With its global ambitions and ample budgets, the New York Times is an influential exception. I second Nancy Levinson's wish for criticism by "passionate observers of the New York scene." New York magazine is passionately devoted to examining every aspect of this town, and as its architecture critic I have written about low-income housing in East New York, bicycle lanes, streets, public spaces, firehouses in Bushwick and the Bronx, zoning, infrastructure, a wastewater treatment plant...and, yes, Frank Gehry and Jean Nouvel, who have contributed to this city, too. I completely agree that the project should not be separated from place, and that knowing the local situation would be key to that. But I also enjoy reading about structures I'll probably never see. In some ways, it's architectural tourism, and I'd have a better understanding of the building if there was more written about the local area. But I don't hate it either. Living currently in Boston, where the free Metro paper I pick up on the subway is better than the boston globe, there's a total lack of sanctioned architectural criticism. But I have a found an internet forum where you can read and participate in discussions on local architecture. It's http://www.archboston.org/community/index.php So much like the rest of the media world, some of the most interesting discourse takes place not in the established media, but in the nooks and crannies of the interwebs. I think the challenge for critics is finding a balance between actual/factual critique and personal preferences, which can influenced by everything from personal relationships to personal experiences with a place or person. As readers, we have to sift out personal interjection and hyperbole and of course, it helps if one is able to experience a project in person rather than just reading someone's opinion of it. Most critics become predictable - we know what they will like and they develop their "darlings" who never do wrong or are the most interesting to them (which is different than what might be interesting to readership). I agree with Nancy Levinson that a more intimate knowledge of communities provides a better foundation for critique...with the caveat that biases are always a part of the equation & reader beware. Philadelphia has the perfect example of a productive and very necessary architecture critic in Inga Saffron. She not only reviews the occasional new single building, but is important on all of the relevant issues like zoning, preservation, etc. She can hold feet to the local fire when deserved. It works for us! i think it is healthy to have several different types of critics working at various scales. To use an ecosystem analogy, a more diverse ecosystem is healthier and more resilient. Of course, that doesn't necessarily mean that critics will get paid or even be considered that important- maybe blogging criticism undermines the professional status of Ourosoff, et al. So be it. I wonder this; what is the point of criticism? For me, it works in as a feedback loop forming with praxis and theory. It improves the practice (of architecture, landscape, etc.). It doesn't sell it (marketing) or describe it (narrative) though of course aspect of that can be in there (such as setting the scene through context and anecdote). However, maybe that is not the point, or there are many many points/purposes of criticism? Commenter "Morgan" had a good point that she likes some form of architectural tourism. That is valid, though i would argue it shouldn't be considered criticism. For me, that is another kind of journalism. Maybe I'm wrong, though. There is also an interesting article on the related issue of journalism (specifically scientific journalism) over on seed magazine, perhaps worth the read. I appreciate these thoughtful comments. Justin Davidson, you are right, most critics aren't "frequent flying." But the Times has special import and influence, and in recent years it's really pursued the global beat — and as a result I wonder if we tend to think of the more local critics as somehow operating in a lesser zone: they can't make it to the international party, so they stick to home, etc etc. Another way to frame my argument: what if we rethought the ratio, so the local beat was the one that mattered? the one with the cachet? I'll emphasize that I'm not suggesting any kind of sentimental time-trip. We're now so globally attuned that any strong focus on the local has got to be intentional — it's no longer the unselfconscious default. Another issue — focusing on the local will limit a critic's sphere of influence. Not every city is New York, which has a purchase on the national and international imagination. It matters beyond its borders in a way that few cities do. That's why I suggested that new critical models might emerge that are not just about place — they could be focused on architecture and technology, energy, program, media, whatever — and in that way they might manage to be local/non-local. And another issue — FASLANYC mentioned NO's professional status. It's very hard to have a sustained critical culture if you don't have a network of people who are doing it professionally — whose work is supported by an employer and who thus can afford to take the time, week after week, to immerse themselves in the critical process, and whose work is published regularly. (And whose employment gives them critical independence, at least potentially.) It remains to be seen whether blogging — which depends upon personal initiative, interest, time — will produce a sustained body of criticism. I agree with virtually all of the author's main points, and yet in the end, I think the piece proves Ms. Lange's original argument that Mr. Ouroussoff just isn't the right person for the job. Any journalist has to assume responsibility for his/her agenda and body of work, and I think Mr. Ouroussoff has failed to do so -- he hops on planes, tours buildings, and schmoozes, and then, oh yes, he writes an article related to the ostensible object of the junket. He could, however, simply use those experiences to inform -- rather than dictate -- his writing, or (and I know this sounds crazy), he could occasionally decline the opportunity to attend a vapid reception or routine ribbon-cutting and spend his travel money more creatively. Wouldn't it be interesting, for instance, if the NYT critic charged himself/herself with sniffing out true innovation -- even (or especially) if it happens in Arkansas and not Basel -- and spent travel stipends accordingly? THAT could be useful journalism. I would agree that you do need a level of professionalism to sustain a critical network, but that needn't necessarily be the the critic themself (although as i said it is good to have a few of them too). It seems when a critic is only a critic there is some disconnect in their body of work, something missing. By far and away for me, the most interesting critics tend to be academics and professionals who also produce criticism. I think this is because their criticism is about something and is necessarily set within a larger context (personal, and professional). I think that should be encouraged more. And having bloggers put in whatever they can is fine, too, i reckon, though most blogging is commentary, not criticism. Also, the Times architecture criticism shows up in the "arts and culture" section. I think this is a huge fundamental bias never acknowledged (which i assume holds true for other major outlets) and is the reason that the historical, social, and especially scientific and technological aspects of a given project tend to be treated superficially. I'm not saying architecture doesn't have to do with art and culture, but I think it's obvious why the tendency is toward the high society starchitect work given that the paper's editors/traditions make this decision. Nathaniel Martin, I see your point, which offers yet another way into the question: what's the role of the critic? FASLANYC touches on this too, in his comment about the value of academics or practitioners who also write criticism. But at the start of any such discussion, I think we've got to distinguish between critics who write only occasionally — such as academics or practitioners — and those who do so regularly, or at least try to. It's the critics who write regularly, and who do so in venues that are widely read, who have the chance to make an impact — to galvanize and sustain a big public discussion about architecture and urbanism. We've also got to distinguish between those who write mainly for specialists and colleagues — and academics and practitioners are usually in this group — and those who write for the nonspecialist public, for the citizen who probably doesn't know much about contemporary architecture (beyond the big names who crowd the mainstream press) and who probably hasn't thought about larger-scale urban issues at all. It's this public critic who has the ability to enlarge the constituency for serious design — to make more people care about the quality of cities and landscapes. And this is why the critic for the NYT really matters — it's the biggest platform in the U.S. (and one of the few with real organization support, a.k.a., a salary). Nathaniel, I agree with you, to a point. If NO were a better, more inventive and courageous critic, it might not seem to matter that he isn't paying much attention to NYC. But there'd still be a big missed opportunity, an opportunity for the Times critic to play a central role in a wide-ranging, dynamic conversation about the future of New York architecture and urban design. One more thing: I agree completely with FASLANYC, that the placement of the architecture critic in the arts & culture (or "leisure") pages is really problematic. I think the incestuousness of the whole discipline is why it's becoming completely irrelivant to everyday people. They have a priesthood mentality at architecture schools where by you "get it or you don't". This article itself seems to be trapped in it's own hall of mirrors where the same starchitects like Gehry, Zaha Hadid, and Jean Nouvel, are promoted as the true carriers of the torch, inheritors of the linear modernist narrative. Look at the earlier generation of architectural critics such as Montgomery Schuyler and Maria Van Griswold Rensselaer. For that matter, read a run of the mill architectural criticism from any of the architectural periodicals leading up to modernism's ascent in the 1930's. It was so much more accesible to the average reader because of a shared sense of architectural values, least of which was a thing called beauty. Once the modernist anti-beauty mantra took hold, the cord was cut between the public and academia, which architectural crtitics share their world view. That's not to say that widening the scope of the critic into sociological and conceptual realms is in itself a bad thing, to the contrary, these questions bring a new depth to the endevor. But if you are debating the relevance of architectural criticism beyond the ivory tower priesthood, you will have to engage the wider public on their terms. If not, you'll have smashing cocktail parties and scintilating conversations (no doubt), but you will be rendered impotent towards achieving the goals you claim to pursue. I always used the mama rule; if your mama dosen't get what the heck your saying, then maybe you should reconsider reframing your point. I know your mama was no dummy, even if she was never indoctrinated into the language of the conoscienti. but isn't there a difference in criticism and journalism? In my mind, journalism explains, gives us the why and how, the context, etc. But criticism exists for another reason in my mind. To me, it exists to make the work better (whatever that means). It should be polemic and biased, but not opinionated. Am I off base? @ Thayer-D: y so lo decis en otro idioma y tu mama no te entiende porque hable solamente ingles, pues que entonces? Some journalism is critical, some criticism is explanatory. So what? faslanyc's post is exactly the kind of thinking that turns people off to modern criticism. Semantical explorations while the elephant in the room goes unexplained. If you don't even know what making a work better means, why bother differentiating between criticism and journalism? It's a circle jerk where you're trying to sound intelligent by who can be the most enigmatic. "polemic and biased, but not opinionated"??? Oops. I was just picking with the Spanish; no offense meant. And perhaps you have a point with trying to draw a line between polemics and opinionated argument (though in my mind there is one). Agreed. Have a nice weekend. The temptation is to ignore the current debate over the future of architecture criticism resonating in your pages, for if anything more irrelevant than architecture criticism today, it is a discussion of architecture criticism. This is due no doubt to the debilitating elitism of many of the critics and the concurrent fracturing of journalism, (yes, they are related). Their reams of words unfortunately just do not speak to the gut issues of how can we make our habitations more livable, rather than trendy follies. (If it doesn't work as architecture, they call it art.) However, having sporadically practiced the craft for nearly 50 years, at the NYTimes briefly in the 60s, more notably at the LATimes in the 80s, and for the usual suspect popular and professional journals and in a few books (before retreating into TV and then getting real back to my calling as an urban planner), I feel compelled to congratulate Nancy Levinson. Her comments concerning the megalomania of stararchitects, the shallow vanities of their publicists (read critics) the fawning of the profession and its academic institutions, and the undiscerning media in general has prostituted and debased the craft, are right on. Her call for a more of a user-oriented, environmentally sensitive, technically aware, local focus is welcomed. The party is over; time for the design profession to get down and get real. Art and Architecture are not completely the same. Buildings have to have economic success to survive. First to be built, a building design must have relevance to its budget. The building must satisfy the users needs and to some extent the wants of the user. The building's income most be sufficient to pay its way. Most architectural critics I have read ignore these matters. That is why the term "architectural critic" is an oxymoron. Several years ago I attended a celebration of Corbusier work in India attended by many world class architects. The topic was Gehry's Bilboa Museum. The consensus was very negative because of the difficulty to show art in this structure. Le Corbusier said "To create architecture is to put in order. Put what in order? Function and objects." I'll go out on a limb and assume that the crowd cheering Corbusier and jeering Gehry might have a strong Modernist preference. I'll go further out on that limb and guess that this website, because of its content, draws alot of readers with that same preference. And this is why I feel that much of the anti-Ouroussoff commenting is inspired by nostalgia. Gehry's Bilbao Museum is a success. Period. So, how is that possible if its so bad at displaying art? The discussion should certainly be about function -- but which function? The building might provide merely an adequate space for art at the same time functioning as an absolutely phenomenal icon in the global media and the city of Bilbao. Architecture operates on many levels. If changes in the way we consume information has changed the way we experience architecture, why fight it? I say start with the sidewalk itself. Destinations are yesterday. Movement, environment, atmosphere are today. Look at the earlier generation of architectural critics such as Montgomery Schuyler and Maria Van Griswold Rensselaer. For that matter, read a run of the mill architectural criticism from any of the architectural periodicals leading up to modernism's ascent in the 1930's. There is also an interesting book publishers article on the related issue of journalism (specifically scientific journalism) over on seed magazine, perhaps worth the read. The design criticism that I want to read about is one that documents and examines spatial practices; practices understood as a routinised activity facilitated by an ensemble of material things, ideas, language, feelings, and social relationship. I agree with Levinson that a buildings should not be considered as aesthetic objects. They are environments that effect the way people do things, and in turn, what people do, and how they feel about it, effects how space is understood and manipulated. The object of design criticism should be exceptional spatial practice, not a binary aesthetic/function discourse. What needs fostering is an understanding of what exceptional practices are and how they exist spatially. The criteria of exceptional spatial practice is a point of debate, but it should relate to ways of living that contribute to a general ability to sustain. Criticism should give attention and power to those who are using what already exists to remake spatial practices in the common interest. This means that the activities of most contemporary architects should either be savaged or ignored. Herbert Muschamp became and — in the years since his early death in 2007 — has remained a kind of whipping boy for much that is perceived to be wrong with architectural criticism. Alexandra Lange suggests — and Nancy Levinson appears to agree — that we should (negatively) remember Nicolai Ouroussoff as being a critic in the vein of Muschamp, simply because Ouroussoff, "like Muschamp," was "a lover of stars." Specifically: Muschamp emerged as less of an "architectural critic" than as a cultural critic who used architecture as his lens. This never was Ouroussoff's project. But it was Muschamp's — and it is on this basis that Muschamp's legacy must be judged. We can debate whether Muschamp's way of writing about architecture was legitimate. (I think it was — absolutely.) We also can ask whether, given Muschamp's approach, the New York Times should have been more responsive in elevating the profile of David Dunlap, who always was more attuned to the "street" aspects of buildings and public spaces. But, nearly six years after his death, it is long past time to start taking a more mature approach to assessing the significance of Muschamp's contributions — rather than smugly dismissing him as an elitist, for no better reason than that he had a thing for Rem and Frank and Peter and Elizabeth and Ricardo, and that he referenced Baudelaire and Adorno. For those who are interested, my own earlier extended critique of Nicolai Ouroussoff's writing, from November 2006 — noted at the time by Design Observer, Archinect, Curbed and others — is "The Taming of Nicolai."